Carry a valid passport in order to enter the country. All information in this section regarding visas and travel documents was compiled from the Ecuadorian Embassy and General Consulate web pages, and should be confirmed with the Ecuadorian consulate in your home country, as policies and regulations change frequently. Ecuador welcomes tourists from all around the world, and while the majority of them won’t need a visa, they do need to carry a valid passport in order to enter the country. - Review your documentation and passport validity before traveling. - Ensure that your passport is valid for at least six months after your returning date. - Always carry your passport with you when traveling within Ecuador. - When staying in a city hotel, lock your passport in your room safe or ask the front desk to keep it in the hotel safe. - While staying in Quito, Guayaquil, or other main cities, carry only a copy of your passport. You can ask your country embassy to make an official copy that will be recognized by Ecuadorian law. 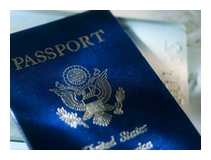 - Report stolen passport immediately to your embassy or consulate. - When ask in the street for your official documents by a person not wearing a uniform, ask for identification or to be taken to the closest police station. If he/she refuses, don’t show him/her anything. - Keep the embarkation/disembarkation card stamped in your passport upon arrival in the country. If you lose it, you might run into problems upon exiting the country, or during check points within the country. For further details, please read our passports and visas section.